A balcony is erected on the firewall of the building at 43 Boulevard Jean Jaurès* in Paris on the fourth floor; it occupies the otherwise unadorned wall prominently as the sole detail. 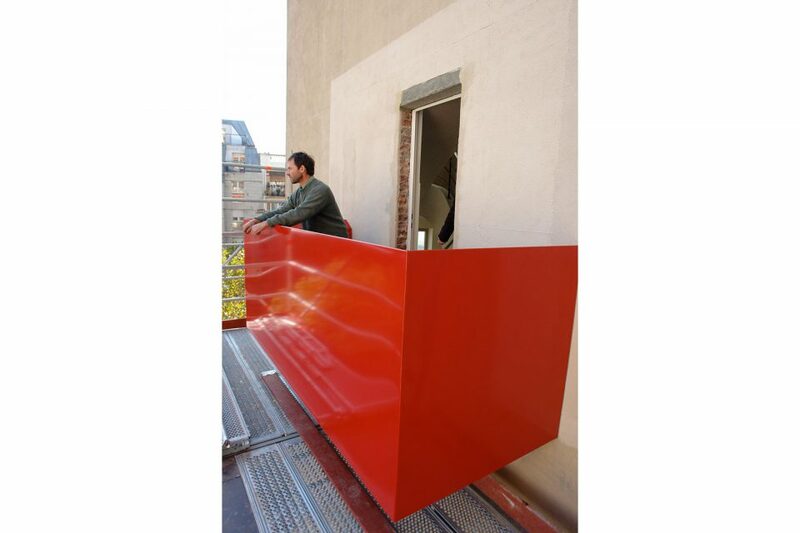 From the outside, the balcony is quite visible as a red, minimalist sculpture; residents can use it, with access from the stairway. Th e work is an expansion of the private into public space. It thereby alludes to the balcony as a contradictory site between bourgeois domesticity and the proclamation of political ideas. 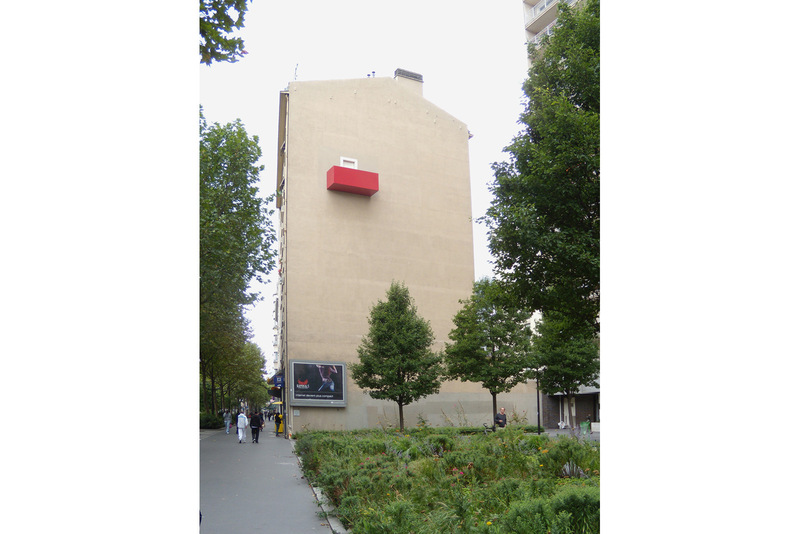 A plaque on the street level designates the sculpture as “Place Jean Jaurès”. • Jean Jaurès was a well-known French reform socialist who was murdered in 1914.